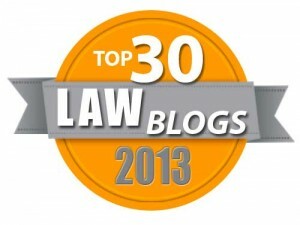 Apparently, August was a big month for law practice management and technology articles. I ended up with twenty-six articles we have placed in the OBA Management Assistance Program Reading Room for the month. The linked articles range from Microsoft Office tips to engagement letters to keyboard shortcuts to redesigning law firms. Lawyers who do real estate closings will not want to miss the checklist on the “Closing Ceremony.” I hope you enjoy the OBA MAP Reading Room for August 2016. Lawyers, Did You Know Your Kindle Can Do This? As much as the practice of law relies on PDF documents, there aren’t a lot of good ways to read them comfortably and efficiently. Frequently, I need to read long, complicated PDF files: a Supreme Court opinion, articles, research, reports, even an appellate brief. Earlier this week it was a seventy-page stock prospectus. I needed to be able to mark passages that I would later quote in a brief, and make notes as I went along of important passages, research questions, etc. I had two options. I could send seventy pages to the printer, clear off a spot on my desk and spend two hours hunched over a pile of paper – highlighter and sticky flags in hand; or, I could email the file to my Kindle’s email address via Amazon, have Amazon convert the file from PDF to Kindle’s native format for me (FREE) and read the file while reclining in the comfort of my favorite chair with all of Kindle’s built in reading and notation tools available. I chose the latter. Two hours later, I had read the file. I had highlighted passages and made my notes – all using Kindle’s built in tools. I plugged my Kindle into my laptop and copied the “My Clippings.txt” file over to the directory where I store that client’s word processing files. Now, when I write my brief, I don’t have to re-type long passages from the PDF file and hope I catch all my typos. I can just cut and paste, and I can search the notes file for particular passages or questions I had jotted down while reading. Here is how to make this work. Every e-ink Kindle has an email address. To find it, go to “Your Account” at Amazon, then, under Digital Content/Digital Management select “Manage Your Content and Devices”. Choose the “Your Devices” tab. Click on the Kindle you wish to use, and the email address for that device should be visible. Once you know your Kindle’s email address, you send an email to your Kindle with the PDF file attached and the word CONVERT as the subject line. Amazon will convert the PDF to kindle format (the conversion isn’t perfect, but it is pretty darn good) and deliver it to your Kindle free over a wifi connection in just a minute or two. If you want it delivered over a 3G connection that Amazon pays for, Amazon will charge you for that. My seventy-page PDF file the other night cost me 15 cents on my 3G equipped Kindle Touch. I have also been able to email a file to the Kindle app on my phone. I have not been able to do this with either the Kindle cloud reader or Kindle for PC. I don’t have a Kindle Fire, but it is my understanding that the Fire runs the same app as my Android phone, so I would expect that this will work with a Kindle Fire. A lot of the tech tricks I read strike me as just another way to justify our toys. This is a trick that I use fairly regularly, because I think it is a better, more comfortable, easier and more productive way of reading large PDF files than any other I have tried. There won’t be guns blazing or blazing saddles, but there is going to be a shootout at the OBA Solo and Small Firm Conference on June 19, 2015. We are excited to be hosting Practice Management Shootout at the OK BAR, featuring six of the top practice management solutions for lawyers. I believe it is absolutely critical for small law firms to embrace practice management solutions that help them organize their client files and move to a more paperless workflow. Oklahoma Bar members will have an unparalleled opportunity to compare and contrast these great tools at our conference at the Hard Rock Casino Resort at Tulsa. Riding into town are MyCase, Firm Manager, Firm Central, Clio, RocketMatter and PracticeMaster/Tabs3. I know most of these company reps and they are a wild bunch. The presentations will start in the morning and be finished before high noon. Oklahoma lawyers may never have a better opportunity to choose their weapons. Each vendor will have a ten minute TED-style talk and then they will be at their booths for the rest of the conference so attendees can follow up with questions. Picking a practice management solution can be challenging and it is critically important. So, many law firms find themselves struggling to “pull the trigger” on a decision. 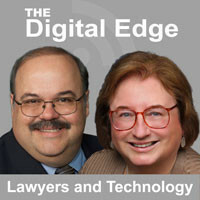 Other law firms have made the leap and now wonder if they have the best tool for their practice. You will never be better armed to make this decision. Having all this information and company reps in one location will help you summon the true grit to make the call—this summer. In all seriousness, if you haven’t done this yet, it is time to strongly consider this important upgrade for your practice. Come find out why. Microsoft Surface Pro 3 - the 3rd time is the charm! So I hope you enjoy our podcast, Microsoft Surface Pro 3: The Tablet That Really Can Replace a Laptop, on the Legal Talk Network. On November 24, I am doing a webinar for the ABA titled "Never Drop the Ball: Electronic Checklists for Lawyers." I'm very excited about this program and this topic for two reasons: 1) This is one of my favorite topics and I think examination of this topic is critical for law firm success in the future and 2) It has been too long since I have got to co-present with my friend Dan Pinnington, Vice President, Claims Prevention & Stakeholder Relations of Lawyers’ Professional Indemnity Company. How has your law firm improved its use of checklists in the last few years?